There’s something about rich and warm earth tones that can really enliven a home’s decor. A recent post about bringing the outside in had already got our creative brain-cells ticking and with our love of bold flooring patterns always top of mind, we had a little inkling how we could match the two themes together. Cue the frantic opening of desk drawers and furious scribblings on graph paper with coloured pencils. 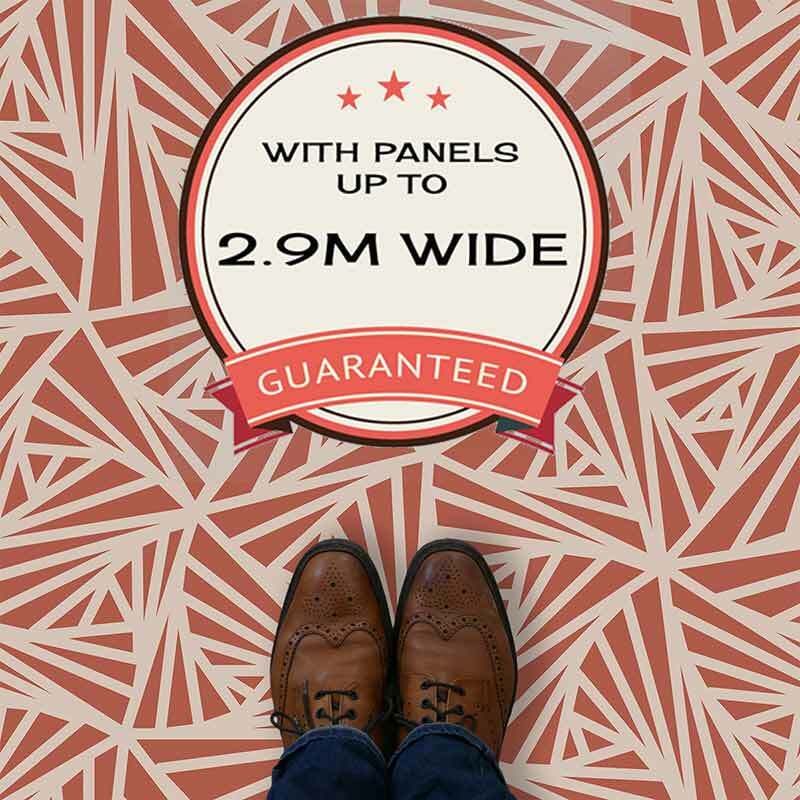 Our new Terracotta vinyl flooring range was borne. The team at For the Floor & More, as you would expect, are avid readers of the home decor mags ( Living Etc and Elle Decor are our faves ), and the style blogs – ( Mad About the House and The Design Sheppard ). When we see concepts develop and know we can add a little uniqueness to the mix, the designers will put their heads together to see what’s possible. 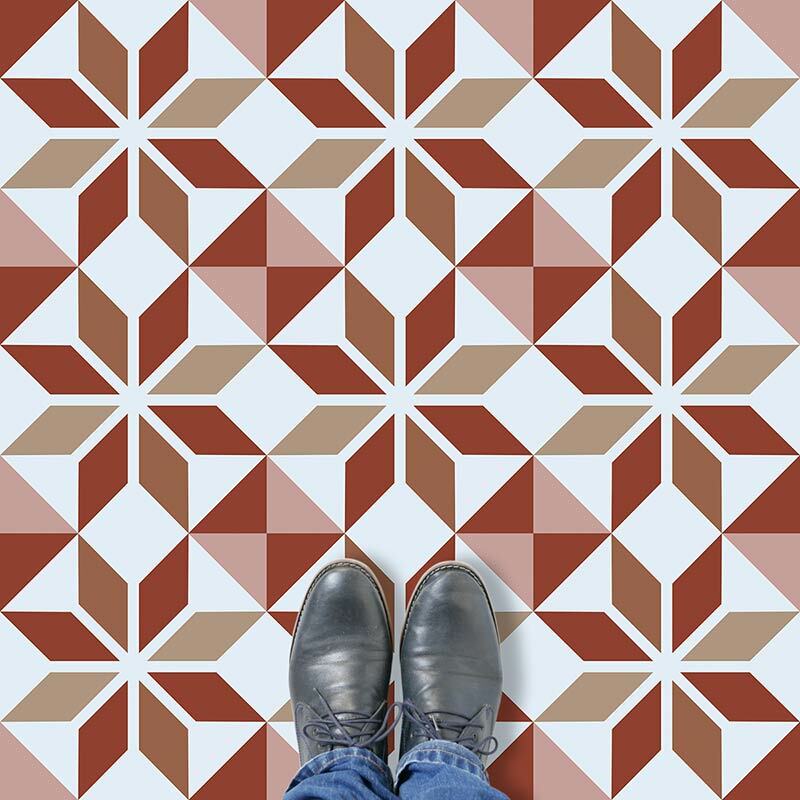 In one of these giddy moments, the Terracotta Geometrics patterns started taking shape. The name terracotta was coined by the Italians and directly translated into English as ‘baked earth’. Most think of it as the unglazed pottery, flower pots and ceramics. There’s also examples of it being used in building construction, roof tiles and of course, statues and the incredible Terracotta Army. As much as we’d love to get the pottery wheels out ( not sure if our splashbacks could be made from clay though ), it was the rich earth tones of terracotta that really captivated. The hues of browns ranging from creams to almost pinks, the rustic shades and neutral colour. Being natural can still have so much colour-pop! There’s something about these earthy colours that evokes warm sunshine, soothing relaxation and time spent at home with friends. When coupled with geometric design, there can either be a real sense of calm and serenity ( like Dahna design above ) or passionate excitement ( Carlla pattern ). Whichever style your home is longing for, there could be an elegant terracotta vinyl flooring to suit. Searching for more inspo from the Med? We’ve also got a range of modern Terrazzo vinyl flooring – another Italian style that’s enjoying a well deserved renaissance. We print directly to the wear layer of our specially sourced vinyl. 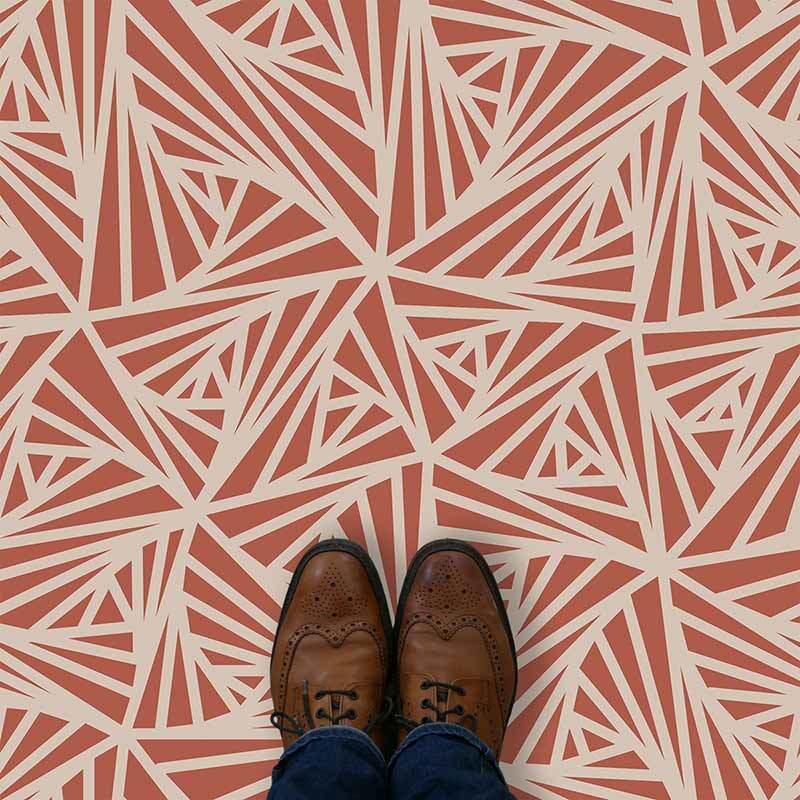 All our patterns including these new Terracotta vinyl flooring designs use the same bespoke process. Durable, highly detailed and with every order created individually, we can amend most elements to capture your dream. We still manage to do all this & ship within a couple of weeks. By handling up to 2.9m wide, most room sizes can be manufactured in one panel. 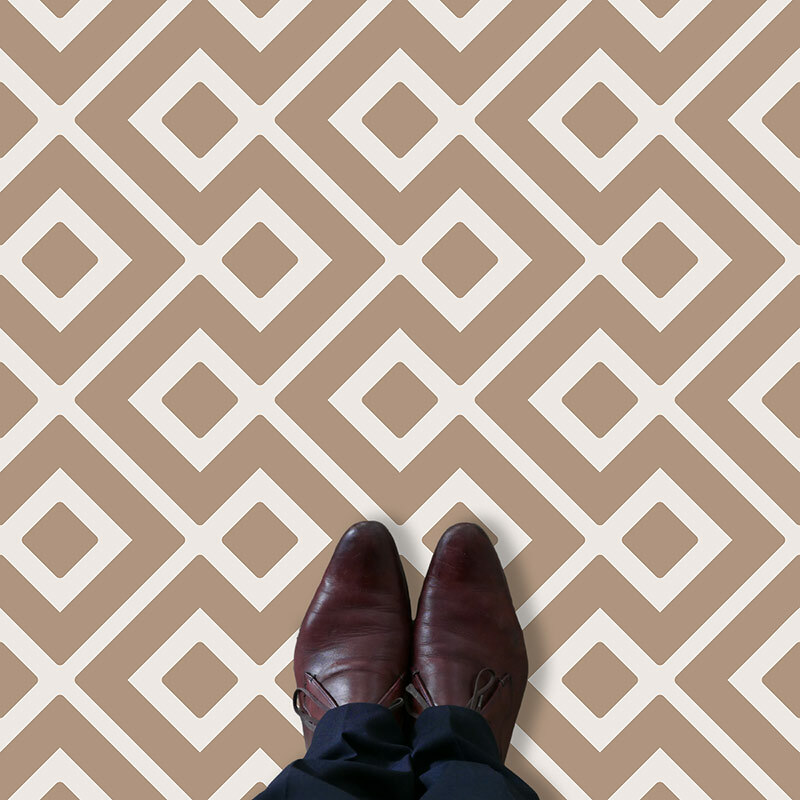 If you need patterned flooring samples, fill in the request box on whatever pattern page has caught your eye and we’ll pop a printed square in the post free of charge. 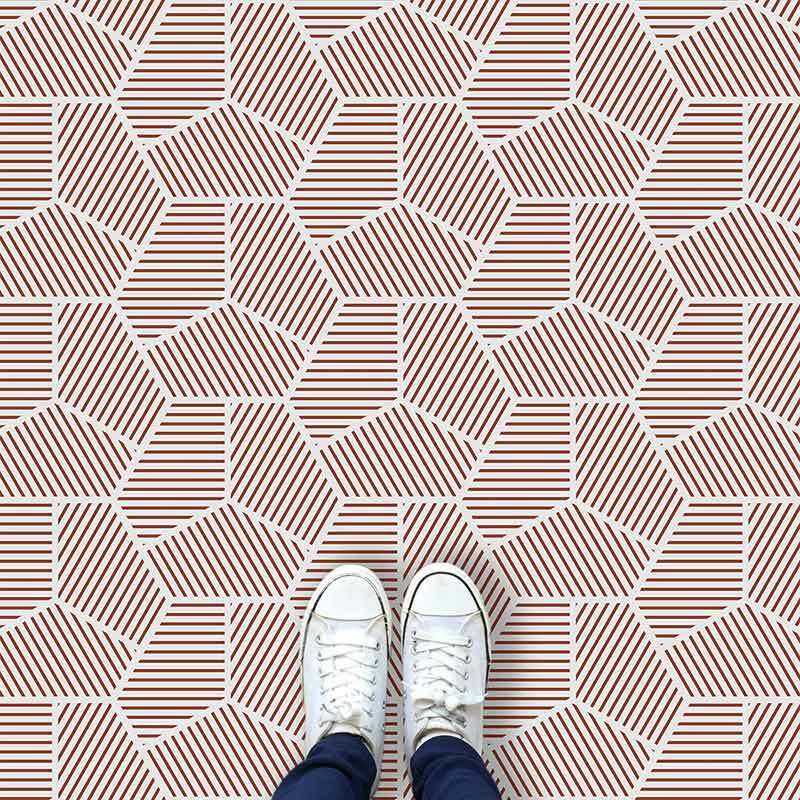 Got your eye on any of these Terracotta Geometrics? Prefer them printed on glass as either a splashback or Feature Tile or even as a super sophisticated pattern wallpaper? Get in touch and we’ll see what we can do for you. Likewise, if the colours need tweaking in any way we can work with you to match whatever is in your mind. 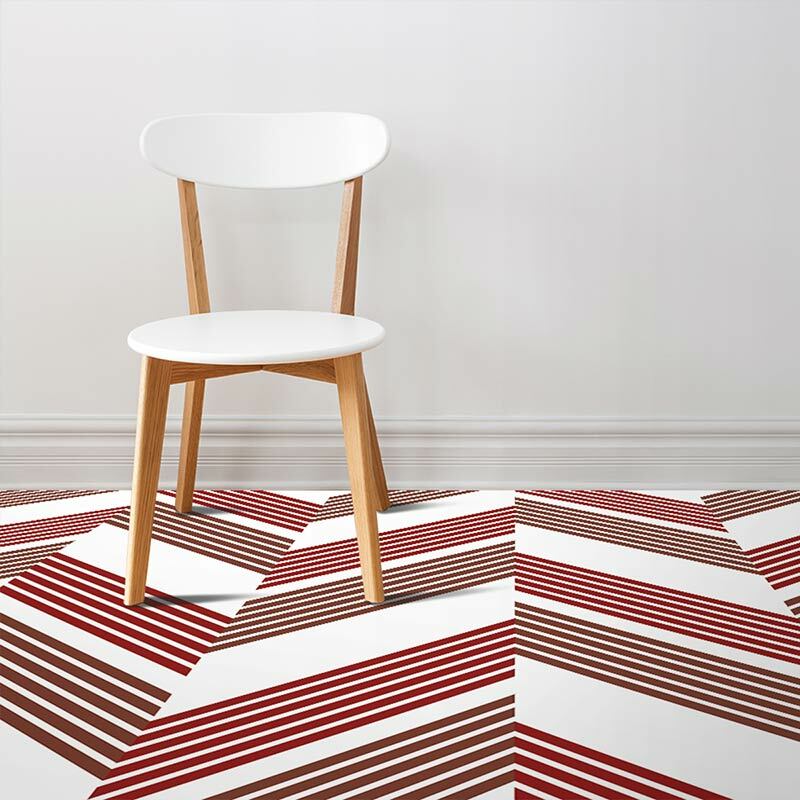 Still searching for more patterned floorcoverings? 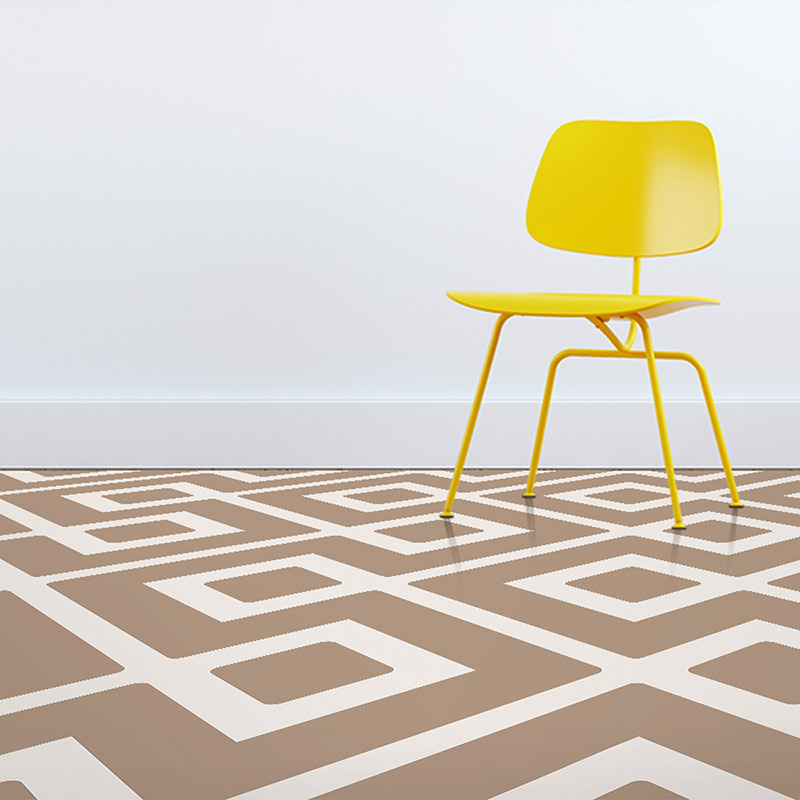 We’ve got another post on some of our modern flooring designs that might just include your new look. Just remember, your home is unique so don’t forget to show it! For something a little more monochromatic, follow the link for our new range of black and white vinyl flooring designs. All of our Terracotta patterns are available at up to 2.9m wide. Click the link for more information on why we only use wide width vinyl flooring. By Louisa. Designer, colour coordinator, Terracotta warrior.